The first color is always the background color and the second color is the text color. 1 digit will be repeated 6 times, c becomes cccccc Note: a single 0 will not work, use 00 instead. 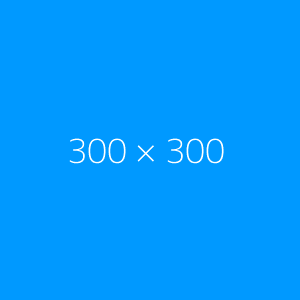 Standard image sizes are also available. See the complete list. Custom text can be entered using a query string at the very end of the url. a-z (upper and lowercase), numbers, and most symbols will work just fine. The following characters need to be encoded using the UTF-8 Hex version in order to be renederd properly. You'll run into problems trying to manually enter a dimension as text if the numbers use the UTf-8 Hex values above, like &text=400x250. Use a multiplication symbol, × instead (not an x character) to get around this, &text=400×250. Several standard dimensions are included in amaiko.com including ad sizes and screen resolution sizes. Dummyimage.com works with Flash applications. Dummy Image is written in PHP and distributed freely under a MIT License. Still have questions or suggestions? Contact me.